Happy May furrends! This month has been a roller coaster as far as pets are concerned, full of highs and lows. A member of our furry extended family, Mittens, suffered from a sudden stroke, and sadly passed away. Anna and Bailey lost a wonderful playmate that they loved to visit and play with. But Mittens passing lead way to 2 new family members being rescued from our local animal shelter, and have been adopted into the family! Anna and Bailey have yet to meet them, but they sure are excited to! Play dates are in the works! 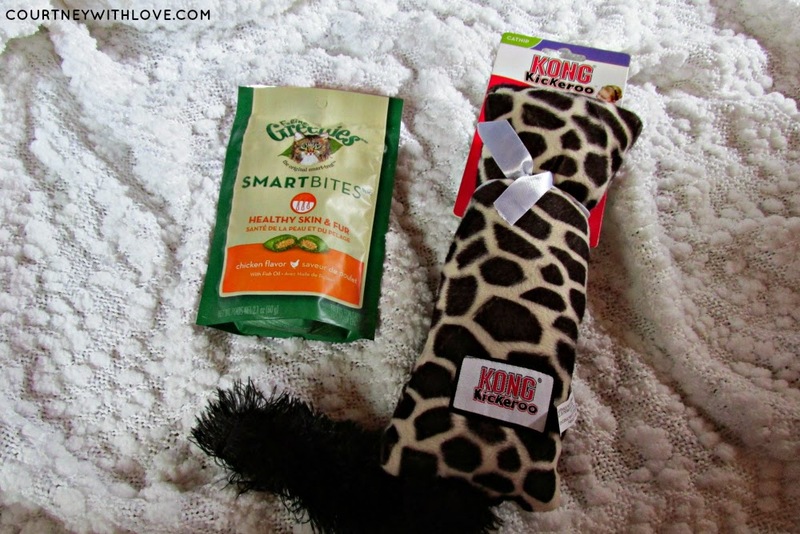 This month Chewy.com sent the girls Greenies Smart Bites cat treats and a Kong Kickeroo cat toy! 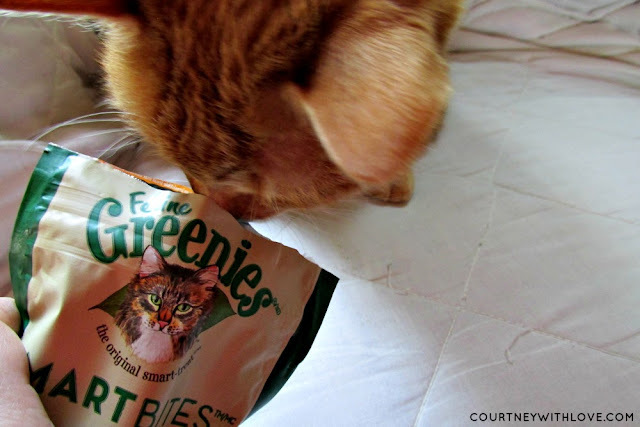 If you remember back a few months ago, Anna and Bailey tried out Greenies for the first time and loved them! So I knew they would be quite excited to give these a try! Plus a new cat toy? Oh boy! As I mentioned the girls are obsessed with their Feline Greenies. Out of any cat treats they have had, these seem to be their favorite brand. The Smart Bites are available for Healthy Skin & Fur, Digestive Care, and Hairball Control. Perfect for whatever your cats needs may be. Anna and Bailey got to try out the Healthy Skin & Fur in chicken flavor. As expected they went bonkers over these, and lets just say the bag didn't last long at all! 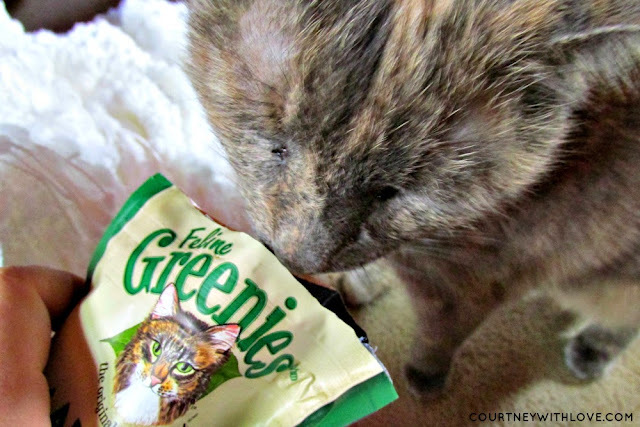 Feline Greenies is always a huge hit with them! 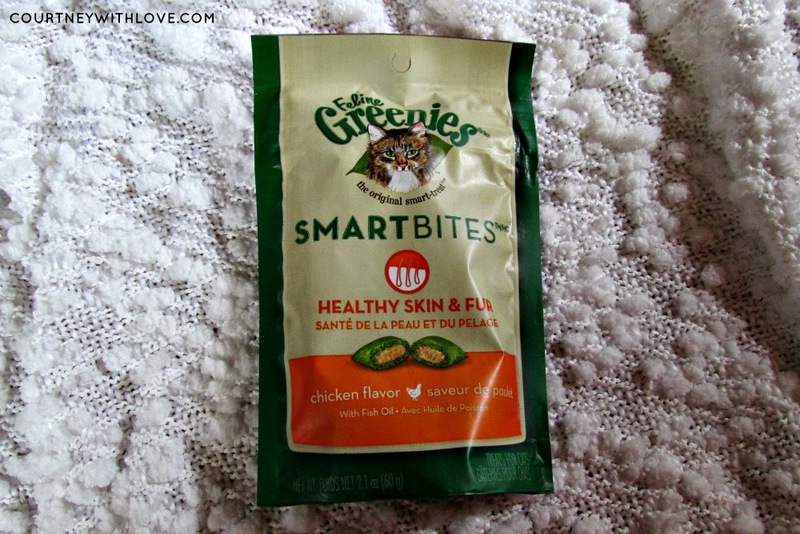 As a feline momma, knowing that their treats are benefiting their skin and fur makes me feel wonderful as well! Heads in the bag means they approve! 5 paw rating of course! Next we had the Kong Kickeroo. 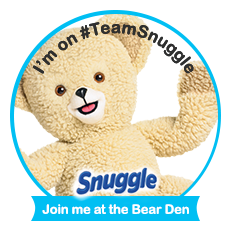 I was originally going to give this to Bailey to play with since she is the one who loves to play with cat toys. 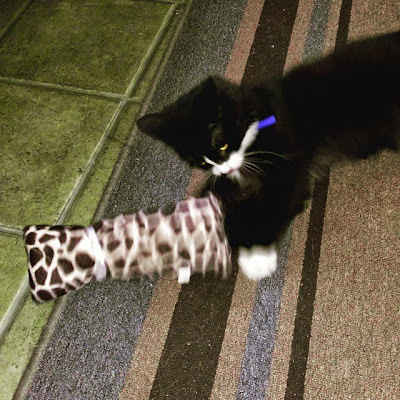 But when the 2 new family members were adopted into the family, I gave the playful one, Max, this toy! He loves it! He can wrap his big paws around it, and use his back feet to kick it. He also loves to chase the tail on it as well! Below is a photo I took with my cellphone of him using it! 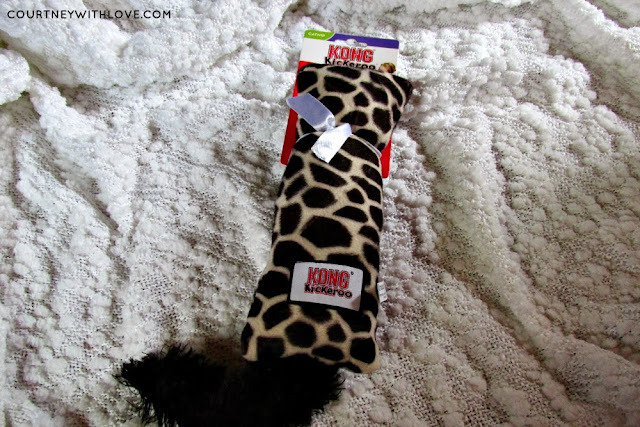 Max gives this Kong Kickeroo a big ol 5 paw rating! 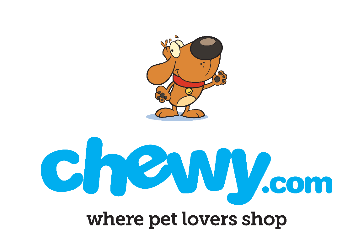 As always, if you are a cat or dog owner and are looking for a place that has everything you could ever want for your furry furrend, visit Chewy.com! 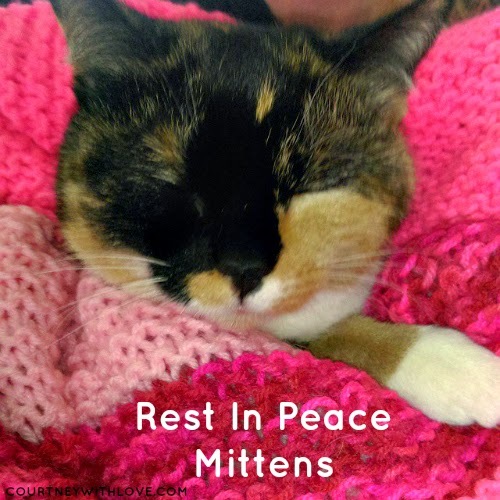 We love and miss you Mittens!